I have read all of Barbara Claypole White's novels and enjoyed them. But Echoes of Family is the first book that I've read in a long time that I wanted to start reading again as soon as I read the last page. Trust me - it's that fantastic. Marianne, the main character, is manic depressive and is spiraling out of control. She decides to return to England - where she grew up and where her past secrets are long buried. She feels that if she confronts her past, it may help her future. The first person she meets in the small town she grew up in is Gabriel, her first love. He is now the minister at the local church. She left her husband and daughter behind in North Carolina while she goes to face her demons. While in England, she creates chaos for Gabriel who thought that he wanted and needed to forget her. As her life spirals out of control, she tries to find answers in her past. Marianne is a wonderful and flawed character. She is well aware of her limitations and her past suicide attempts and her illness. One of my favorite scenes with her was at the rectory in England when she was at the height of her mania. It is so well written, that I found myself reading faster and faster to keep up with her. 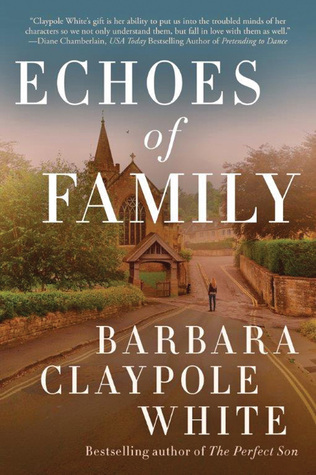 As in previous books Barbara Claypole White writes about mental illness in an open and direct manner. There is so much discrimination against people with mental illness. She succeeds in making her characters so real - trying our best to have a happy life. This is a wonderful story of family and love. Life isn't about the family that you are born into. Life is about the family that you create. Mark your calendars for the September 27 release of this fantastic book. Oh my gosh, thank you. I love this review.